Trinity College offers a football program that caters for all levels of participants from Early Years to Year 12. The program aims to provide an enjoyable and competitive environment for students to develop their abilities. Auskick at Trinity is for students in Early Years to Year 3 and is held on Friday afternoons mainly in Term 2. The Years 2/3, 4/5 and 6/7 teams participate in the local school SASFA zone competition based at Ridley Reserve in Elizabeth. Training is once a week at each school and games are played on Saturday mornings against other school based teams. Trials are held in Term 1 to select College wide teams, to play in the Sports Association for Adelaide Schools (SAAS) home and away competition with other Adelaide schools. Practice is twice a week for Years 8 to 12 and once a week for Years 4 to 7. 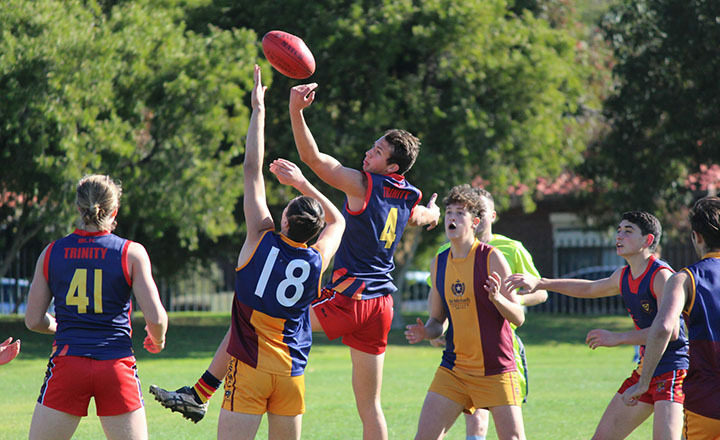 Games are held on Saturday mornings, except for the 1st XVIII and 2nd XVIII who play mainly on Saturday afternoons, with some mid-week games held under lights. We also participate in an annual intercol competition with St Michael’s College and annual sporting exchange with Ballarat Grammar. 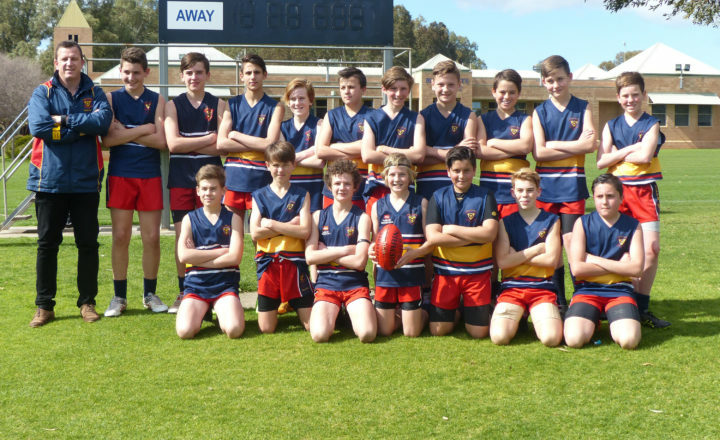 Our students are also fortunate to enjoy visits from both local AFL clubs that include special clinics.